Outdoor seating / terrace. 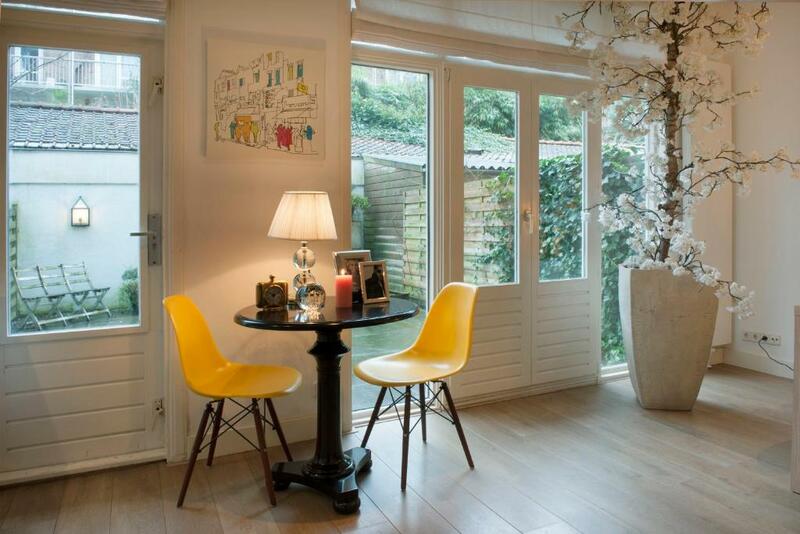 Within walking distance to the Van Gogh Museum. Everything was nice and clean and the location of the Appatment is wonderful also the property manager was very friendly and nice. Perfect location. Ground floor and no walkup!!! Great area. Perfect for families. Clean, modern decor. 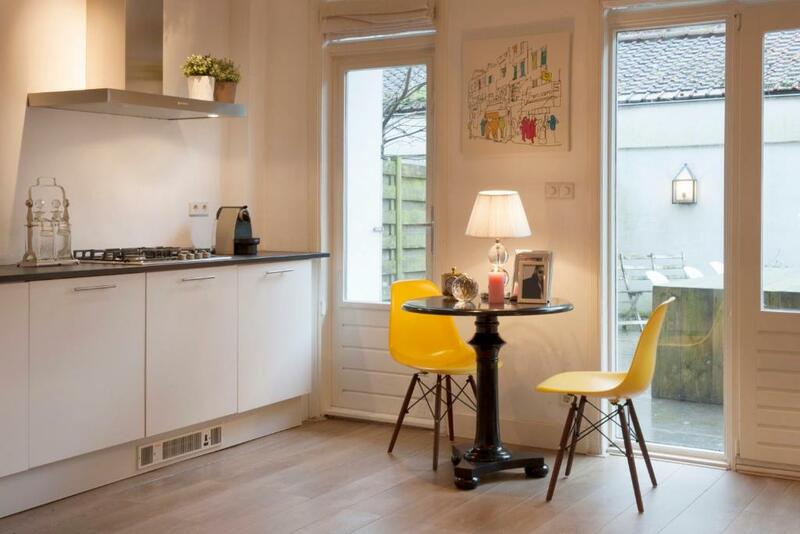 Fantastic location next to museums, Cuyp market and Concertgebouw. Easy tram ride to Dam square. There is a lock box at the door to collect the key. Nice kitchen. Aneta is great host, she welcomed us in late check in. App is near all museums and is calm and safe place in town. In app you have realy all what you need for five days. It is very spacious, nice design and comfortable. location is very nice, close to the center but very quiet place. Kitchen is very well equipped, the hostess is very friendly and nice. I liked the interior design, very spacious and provides everything you need such as hair dryer, iron, fresh sheets, lots of duvets and blankets and a good kitchenette with everything you need. The bed was comfortable and the sofa bed was cosy. The garden is big. 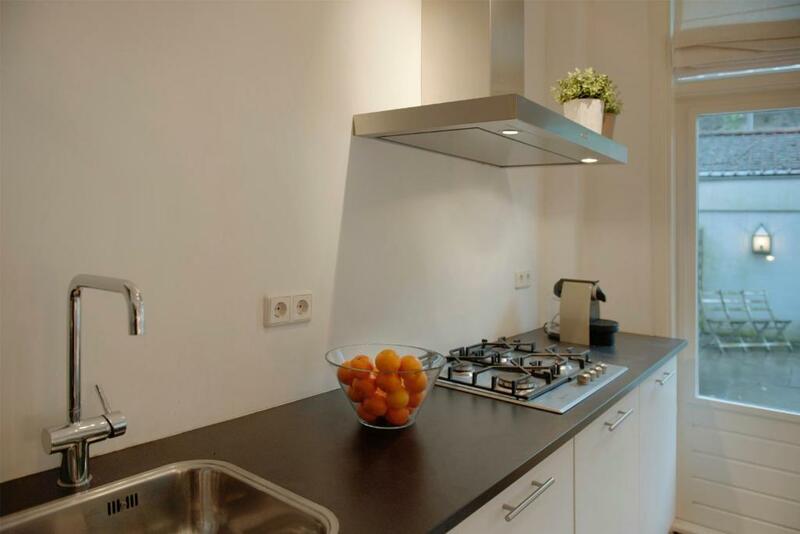 Lock in a great price for Hobbemakade – rated 8.7 by recent guests! One of our best sellers in Amsterdam! Hobbemakade is located in Amsterdam. 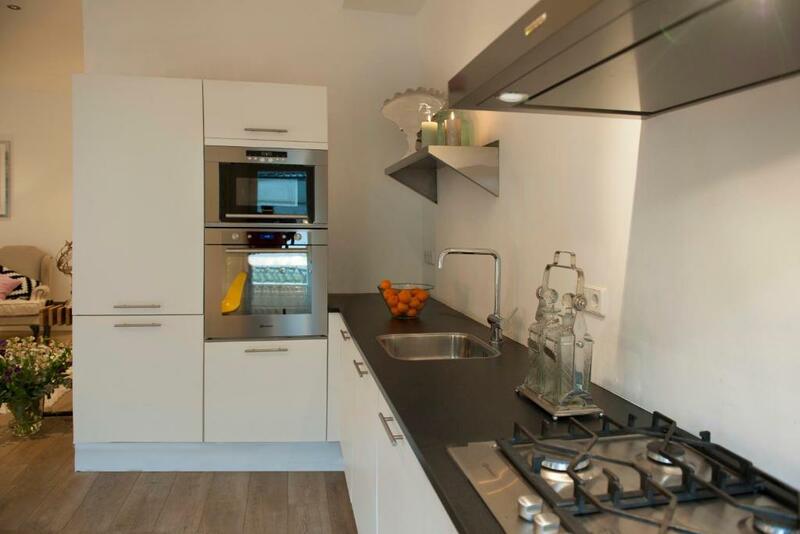 This apartment provides free WiFi, a garden, as well as a terrace. The 1-bedroom apartment has a living room with a flat-screen TV, a fully equipped kitchen, and a bathroom with a hair dryer. Rijksmuseum is a 10-minute walk from the apartment, while Heineken Experience is 0.7 miles away. The nearest airport is Schiphol Airport, 9 miles from Hobbemakade. 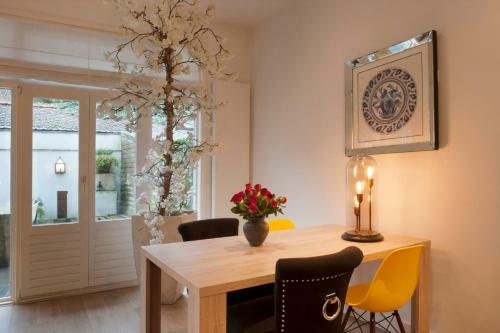 뀐 Located in the top-rated area in Amsterdam, this property has an excellent location score of 8.9! When would you like to stay at Hobbemakade? This exceptional apartment has art deco features with a space full of light all day long. 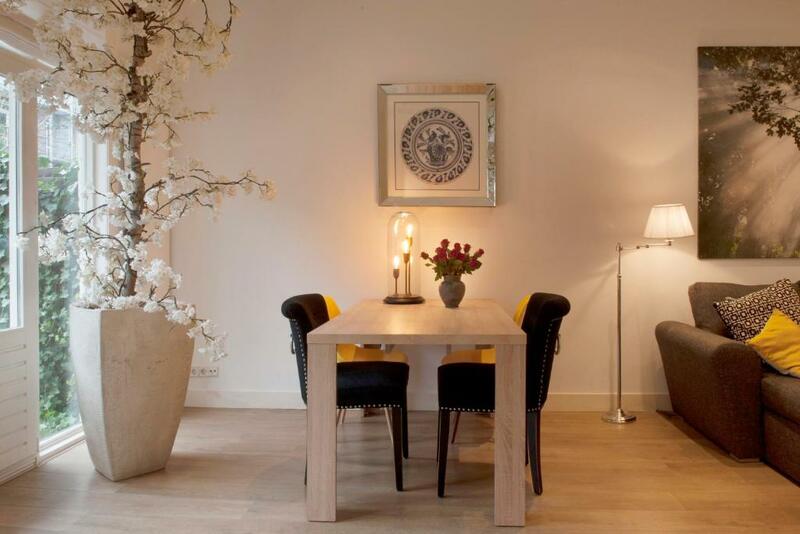 Carefully chosen furniture and the touches of yellow create not only classy and elegant atmosphere but also make you feel home. 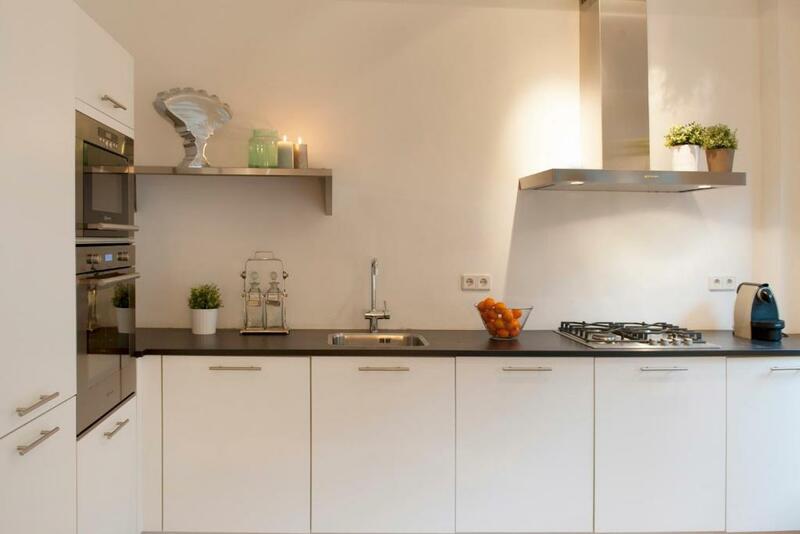 This apartment is not only equipped in kitchen that has all necessary appliances you need, but also cozy and stylish living area with a view over the garden. You can relax on the large sofa, surf the Internet to plan your city trip or simply watch TV after a long busy day of sightseeing. Your apartment is located in the Pijp, within a walking distance from the heart of Amsterdam. Leave your apartment and almost immediately find yourself on the famous Albert Cuijp market or if you prefer, Heineken Experience building. Before you go out in the evening to one of the many restaurants and bars located in that area, go to the Ferdinand Bolstraat and treat yourself to an outfit of the new, stylish clothes that you can find in many boutiques. Have a small break for a picnic in a nearby Vondelpark and enjoy the beauty of nature and sounds of birds and water fountains that you can find there. Walk to Museumplain in 10 minutes and visit the Rijksmuseum as well as Van Gogh Museum to learn about national Dutch art and its symbolic treasures of the country. Also be sure to visit other Amsterdam landmarks, such as Anne Frank House, Flower Market, Hermitage Amsterdam or Dam Square. 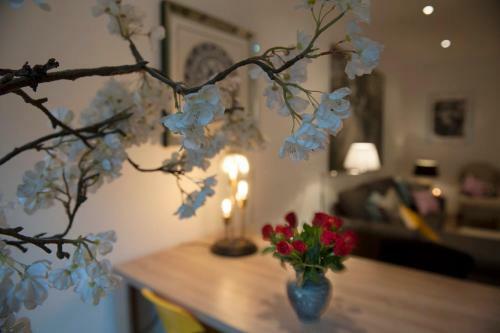 Staying in De Pijp will deliver you an unique experience of real local life in heart of Amsterdam. House Rules Hobbemakade takes special requests – add in the next step! Please note that late check-in past 18:00 and late check-out past 11:00 is possible at a surcharge of EUR 50 each. Please inform Hobbemakade of your expected arrival time in advance. You can use the Special Requests box when booking, or contact the property directly using the contact details in your confirmation. Long distance to Central Station, if you plan to tour outside of the city (i.e. Keukenhof or fishing villages). Back door (does not fully shut and lock) and bathroom door (handle falling off) are in need of repair. The back door doesn’t lock and there is no safe at the apartment. I suggest to replace kitchen utensils like the knives, provide scissors etc. Clean, perfect for family or group, good location. I would love to stay there again. Owner was very kind and friendly. The room was clean.